Beautiful! Happy New Year and Happy 2013. I was wondering if you typically only do 1 hand for your blog nail projects? You too Beth. I do both hands but a simpler modified version on my right if it is a very detailed design. For something like this, I did both the same. It was very simple. Wow I love it! Happy ny to you too! Oooo, so pretty!!!! Love the glitter!! These are pretty! 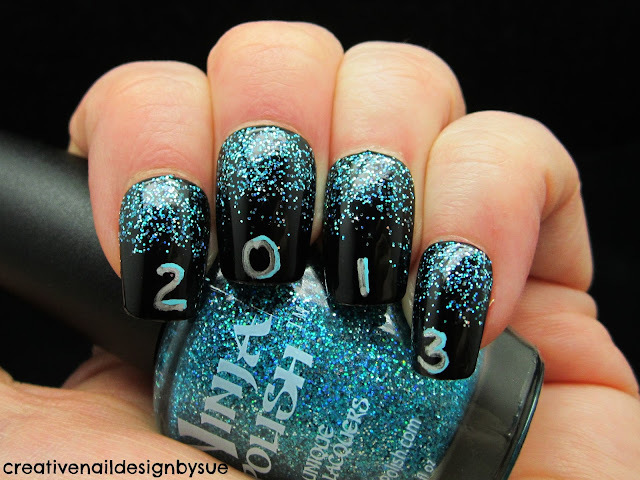 I love that Ninja glitter!